Expeditions to Arctic and Subarctic America after Wild Sheep, Grizzly, Caribou, and Muskoxen 1896-1903. New York City was abuzz on 3 April 1903; Andrew J. Stone, world-renowned Arctic explorer and hunter-naturalist, was fêted with a dinner/reception at the American Museum of Natural History. The East Mammal Hall was festooned with many specimens obtained by Stone on his three major expeditions into British Columbia, the Northwest Territories, and Alaska. While Stone was widely known and highly acclaimed in his time—one of the original members of the New York Explorers Club and tapped to make an expedition to the North Pole via the Northwest Passage—within a few years his amazing legacy faded into the shadows as the world’s attention was consumed by international conflict. Today Stone is most widely known by hunters—sheep hunters in particular—as the man who in 1896 obtained a specimen of the “black sheep.” This sheep was subsequently named Stone sheep (Ovis dalli stonei) in honor of his fieldwork in this animal’s natural history. It was Stone who established that Dall and Stone sheep are distinct populations. With Theodore Roosevelt, Stone coauthored The Deer Family. 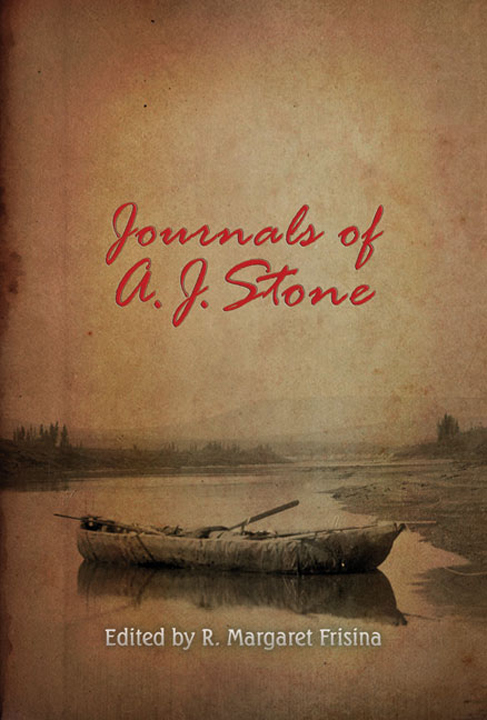 Fortunately, Stone kept a series of journals during his travels from 1896 through 1903 in which he recorded his struggles against raging blizzards, hostile natives, daunting physical risks, and mind-warping loneliness and boredom. Naturalist-hunter-writer/photographer R. Margaret Frisina (a name familiar to many in the hunter-conservationist community) became aware of his records and arranged to make them available again, annotating them and arranging the material in a style that invites the reader along on Stone’s expeditions. Like Stone, Frisina has spent many years afield in remote locations researching some of the world’s most elusive wildlife species. Readers will find themselves swept up in Stone’s exceptional writing. Anyone who has suffered for their trophies or their science will enjoy learning the “story behind the story.” Original black-and-white photos taken by Stone on expedition have been included with permission of Mr. Stone’s grandson, Wilson Stone. Stone’s diaries are a magnificent find on early North American hunting. Submit your review for "Journals of Andrew J. Stone"